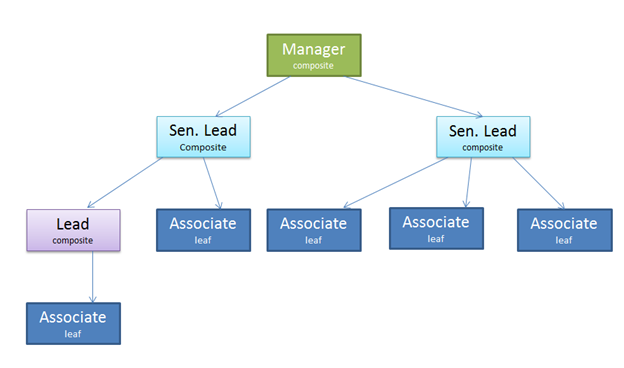 The composite pattern allows you to set up a tree structure and each level has to perform the task. It is having the relation and composite and the leaf level. Leaf level will be the last level of that structure. You can take the example of organization chart where we have manager at the top level and in Manager we have two senior lead and below two senior lead one is having one lead and two associates and another senior lead is having two associate only. 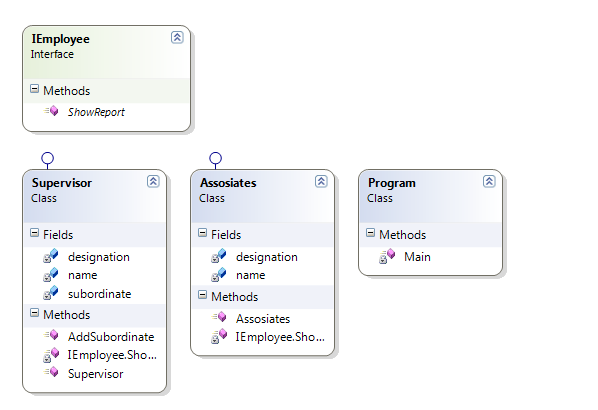 Creating the employee interface which is having the ShowReport method. This employee class will call in both the classes of supervisor and associates. IEmployee – Is interface and having the Show report method. 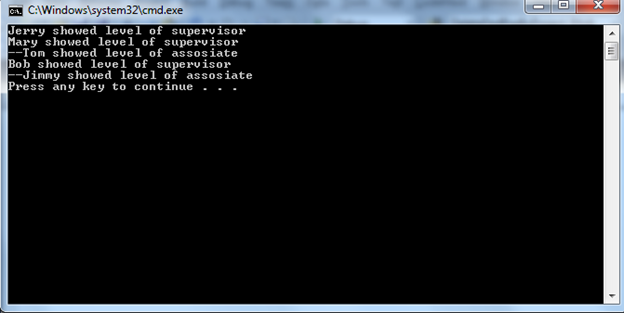 Supervisor – Is class which is having the method of adding sub ordinates. Assosiates – Is a class, which will maintain the Designation and name like supervisor. Get the output from the top level of the organization here Jerry is on the top level.